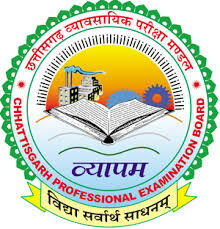 CG Vyapam Jobs Recruitment Notification 2019.Chhattisgarh Professional Examination Board (CGPEB) inviting applications for the positions of Teacher and Assistant teacher vacancies in English and Science subjects.Interested and Eligible candidates can apply for the positions. Last Date for Submission of Application is on May 26th, 2019. Number of positions to be filled in CGPEB are 11, 403. Post wise vacancies details are given here. Contenders those who passed Higher Secondary/ Diploma/ B.EI.Ed/ Graduation/ B.Ed/ BA/ B.Sc/ BA.Ed/ B.Sc from a recognized university can apply. Aspirants must qualify CG Teachers Eligibility Test along with the educational qualification. Maximum upper age limit is 35 years. Age relaxation for reserved categories is as per department norms. The selection of aspirants will be done through written examination. Candidates can know the scheduled dates by going through the official job notice. Online mode of applications can be submitted for CG Vyapam Assistant Teacher Recruitment 2019. The start and last dates for submission of applications for different posts are given below. If eligible, click on the “Apply Online” button. Fill all the empty blanks in the application form. Upload the documents as per given dimensions.